We offer the best Training & Development sessions for professionals from varied industry segments. Our training sessions are focused on improving HR & soft skills of candidates. 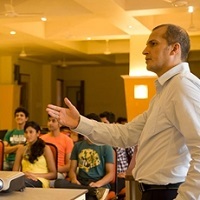 We also provide effective personality development training to professionals. Our training sessions are held under the supervision of industry experts with extensive experience in their respective fields. Our training modules have been developed by experts after extensive research about industry trends and market demand.